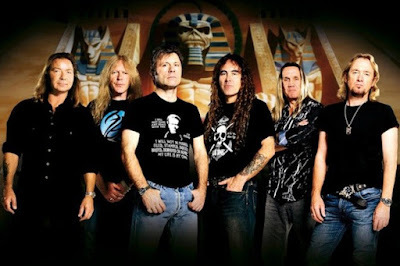 MetalRockNews: Iron Maiden's Steve Harris: "We've never been scared to play new material"
Iron Maiden's Steve Harris: "We've never been scared to play new material"
Iron Maiden bassist Steve Harris was recently interviewed by The Aquarian Weekly, you can read some excerpts below. The Aquarian Weekly: Your shows for this tour feature a heavy dose of songs from "The Book Of Souls". How did you decide on the newer tracks you were going to play? Harris: It's always challenging to a certain degree. But having said that, some of the songs tend to choose themselves. It's pretty obvious we'll do the opening song on a new album, and the title track is usually automatic. Then it gets difficult, as a couple of the new songs are really long. It's not easy picking a set, really. Some setlists almost pick themselves, but not necessarily this tour. The Aquarian Weekly: How have "The Book Of Souls" songs been going over with the fans? 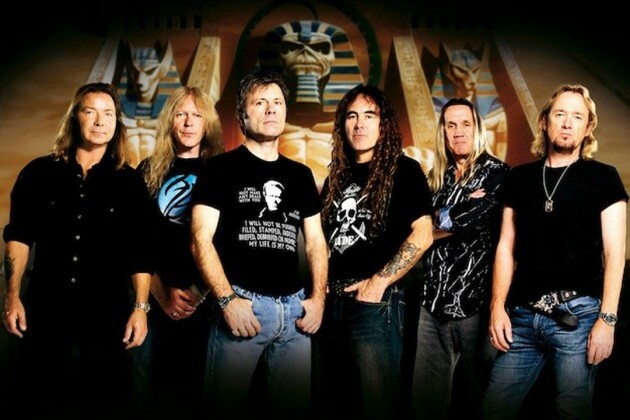 Harris: Whenever we play new material, eventually some of the songs become classics themselves. They can't become that unless you play them. Any new song is not going to go down as well as some of the old stuff, because obviously the old stuff the fans know inside out. But we've never been scared to play new material. I think it keeps us fresh and the audience fresh. In between album tours, we might do a retro tour and we'll pick a couple of songs that we haven't played in 20 years or more. But it's always a challenge to play new material. There are people out there who want to hear a jukebox, but we're not that. We do what we feel is right. The Aquarian Weekly: Not many bands would have the ambition to make a double album nearly 40 years into their career. Harris: We had 11 songs, and we didn't expect them to be that long, to be honest. It had to be a double album to fit more on. It is what it is. We didn't plan to write a double album in the first place. But we've got loads of ideas, which is great. Personally, I've got too many ideas to use in my lifetime, probably. But that's a nice problem to have, I think. It's just a question of trying to put everything together and work them out.